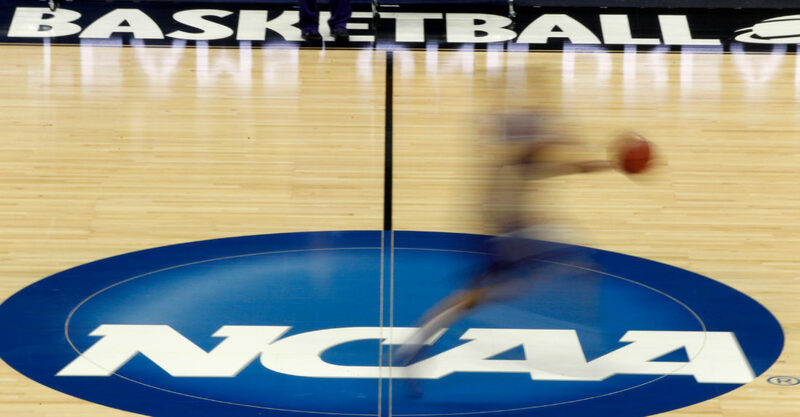 NCAA sanctions on basketball programs caught up in the Adidas fraud trial won’t be resolved until after the Final Four this spring, NCAA president Mark Emmert said, according to a Yahoo Sports report on Wednesday. Emmert, who was speaking at the Learfield Sports Business Journal Intercollegiate Athletics Forum in New York City, said investigations into schools have already begun. In November, the FBI gave the NCAA clearance to begin investigating some of the universities involved in the scandal but did not specify which programs. 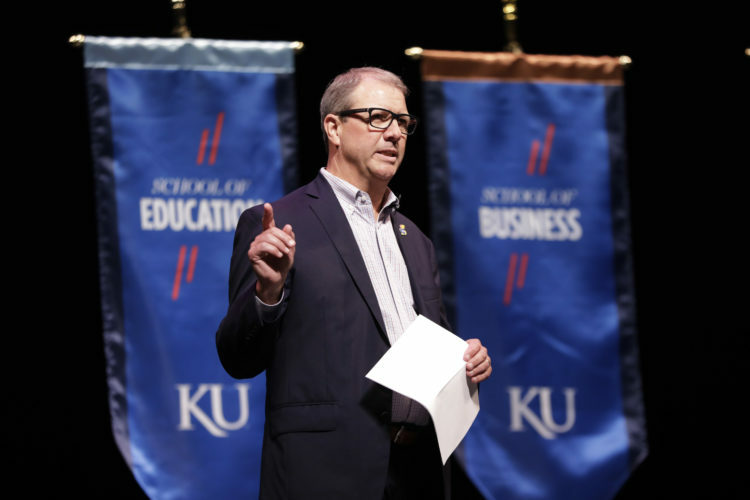 The University of Kansas had become a focus of the trial before it ended in October. 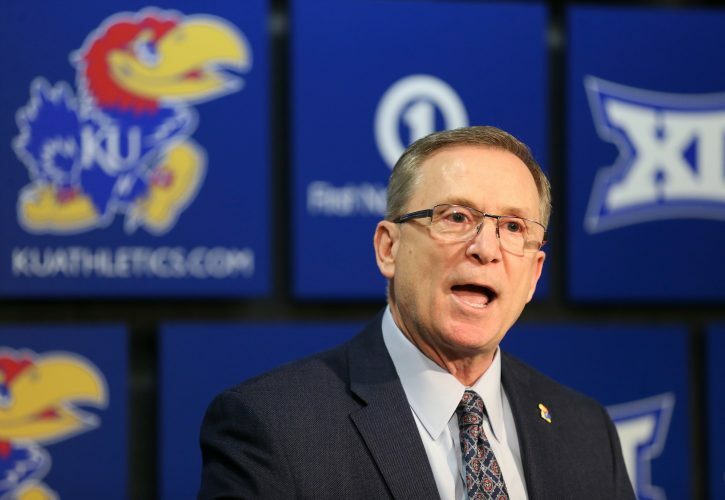 When asked if the NCAA would investigate and punish Kansas, Louisville and North Carolina State for their alleged involvement in the fraud, Emmert said the NCAA does not “talk about individual cases,” according to a tweet from reporter Adam Zagoria. Emmert said the NCAA has “the manpower and the willpower” to address the scandal associated with the trial but cautioned that the organization is more of a spectator in the case, which has at least two more trials scheduled for 2019, according to the Yahoo Sports report. Additionally, Emmert said the NCAA is considering a new method to investigate and rule on major infraction cases, which would include appointing a panel of five people who don’t hold positions at NCAA universities. Emmert used outside business leaders or former politicians as examples of possible panelists. The organization will vote on a recommendation in January during its convention to institute the new structure. If it passes, it likely won’t be in place until August 2019, he said. Notre Dame basketball coach Mike Brey, during an interview session at the forum, said the lack of action has been notable. During the October trial, testimony focused on KU coach Bill Self’s relationship with government witness T.J. Gassnola. 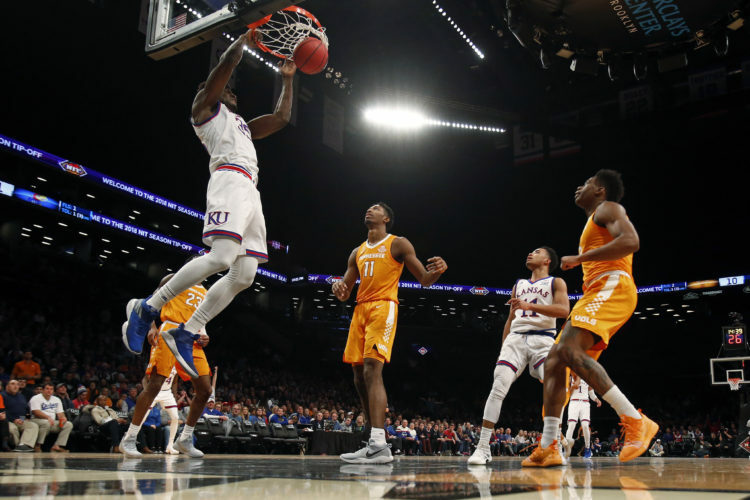 The former Adidas consultant testified that he paid the families of players to steer them to KU, including $90,000 to the mother of Billy Preston and $2,500 to the guardian of Silvio De Sousa. Gassnola testified that he never told Self about the payments. 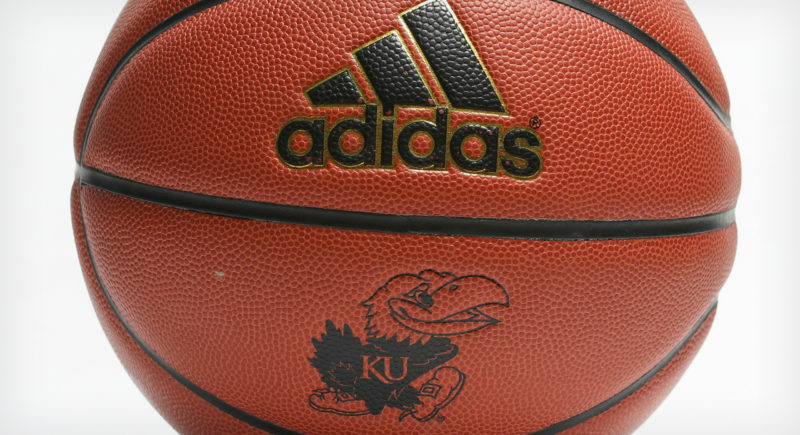 In the end, the jury found all three men facing charges — former Adidas executive James Gatto, business manager Christian Dawkins and amateur league director Merl Code — guilty of defrauding universities, including KU, by providing money to players’ families to steer them toward certain programs. De Sousa was cleared by the NCAA to play during the 2017-18 season, where KU won its 14th straight Big 12 conference title and made an appearance in the Final Four. In light of the information revealed in the trial, KU chose to keep De Sousa out of games during the current season until the NCAA clears him to play again, which has not yet occurred. 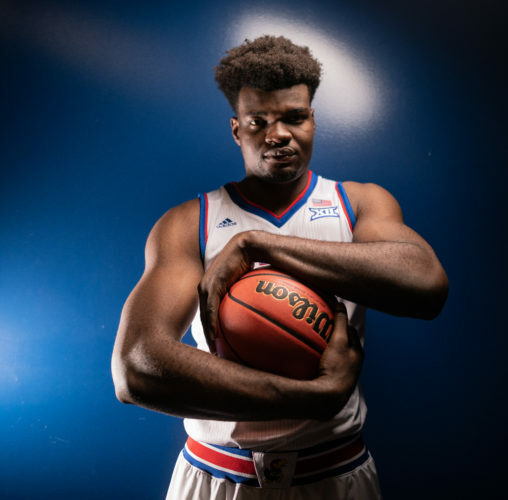 Preston, who never played an official game at KU because of eligibility concerns, played professionally this year for the NBA’s Cleveland Cavaliers organization before being cut earlier this week.